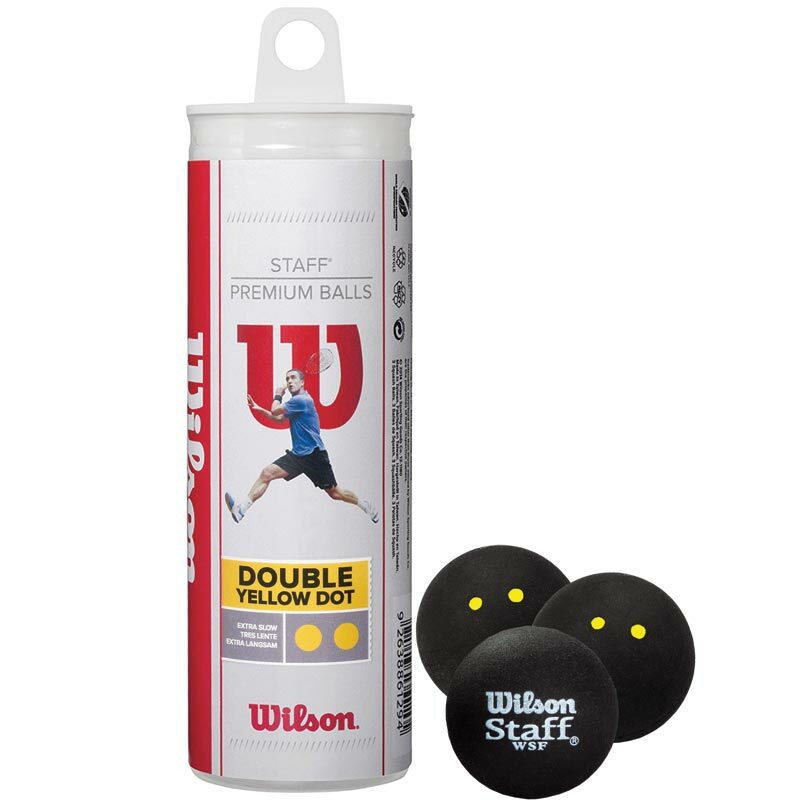 World Squash Federation approved top quality Wilson ® Staff Squash Balls Double Yellow Dot Tube of 3 are non-marking and provide consistent bounce and quality. Double Yellow Dot - Tournament extra slow. 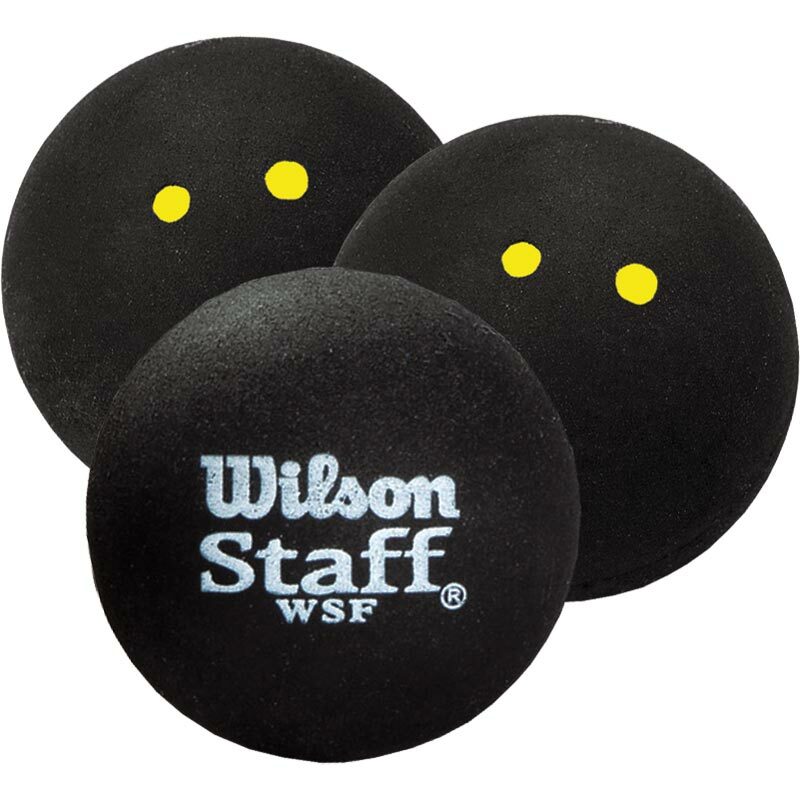 I am very happy with the squash balls recently ordered from your company. Great quality of product. Swift delivery. Highly recommended - will certainly use again.